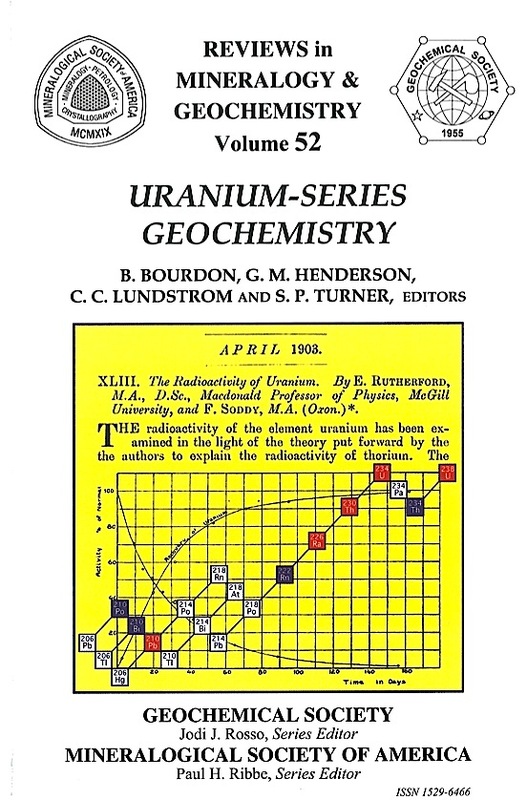 The application of the 238U decay chain to the dating of deep sea sediments was by Piggott and Urry in 1942 using the "Ionium" method of dating. Actually they measured 222Ra (itself through 222Rn) assuming secular equilibrium had been established between 230Th and 226Ra. Although 230Th was measured in deep sea sediments by Picciotto and Gilvain in 1954 using photographic emulsions, it was not until alpha spectrometry was developed in the late 1950's that 20Th was routinely measured in marine deposits. Alpha spectrometry and gamma spectrometry became the work horses for the study of the uranium and thorium decay chains in a variety of Earth materials. These ranged from 222Rn and its daughters in the atmosphere, to the uranium decay chain nuclides in the oceanic water column, and volcanic rocks and many other systems in which either chronometry or element partitioning, were explored. Much of what we learned about the 238U, 235U and 232Th decay chain nuclides as chronometers and process indicators we owe to these seminal studies based on the measurement of radioactivity. The discovery that mass spectrometry would soon usurp many of the tasks performed by radioactive counting was in itself serendipitous. It came about because a fundamental issue in cosmochemistry was at stake. Although variation in 235U/238U had been reported for meteorites the results were easily discredited as due to analytical difficulties. One set of results, however, was published by a credible laboratory long involved in quality measurements of high mass isotopes such as the lead isotopes. The purported discovery of 235U/238U variations in meteorites, if true, would have consequences in defining the early history of the formation of the elements and the development of inhomogeneity of uranium isotopes in the accumulation of the protoplanetary materials of the Solar System. Clearly the result was too important to escape the scrutiny of falsification implicit in the way we do science. The Lunatic Asylum at Caltech under the leadership of Jerry Wasserburg took on that task. Jerry Wasserburg and Jim Chen clearly established the constancy and Earth-likeness of 235U/238U in the samplable universe. In the hands of another member of the Lunatic Asylum, Larry Edwards, the methodology was transformed into a tool for the study of the 238U decay chain in marine systems. 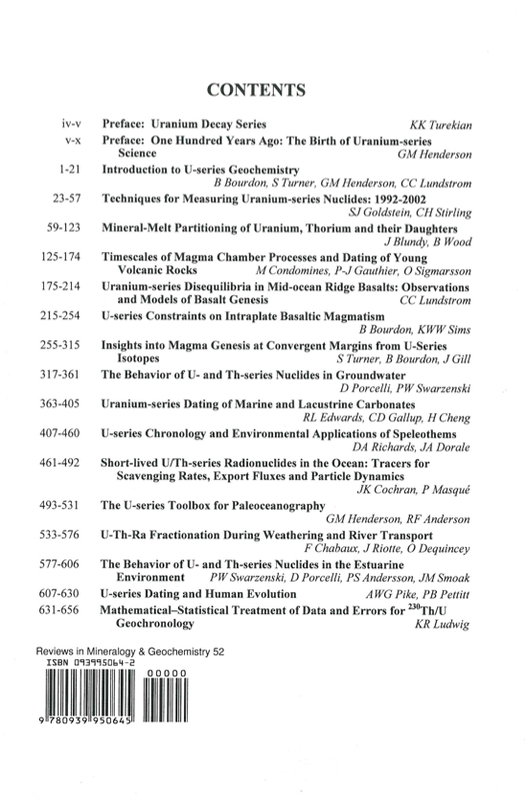 Thus the mass spectrometric techniques developed provided an approach to measuring the U and Th isotopes in geological materials as well as cosmic materials with the same refinement and accommodation for small sample size. No Earth material was protected from this assault. The refinement of dating corals, analyzing volcanic rocks for partitioning and chronometer studies and extensions far and wide into ground waters and ocean bottom dwelling organisms has been the consequence of this innovation. Although Ra isotopes, 210Pb and 210Po remain an active pursuit of those doing radioactive measurements, many of these nuclides have also become subject to the mass spectrometric approach. In this volume, for the first time, all the methods for determining the uranium and thorium decay chain nuclides in Earth materials are discussed. The range of problems solvable with this approach is remarkable-a fitting, tribute to the Curies and the early workers who discovered them for us to use.